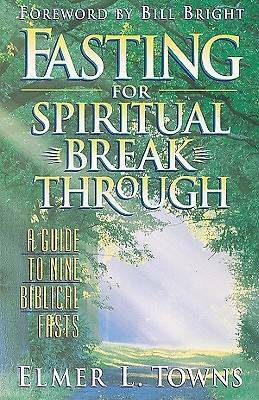 "Fasting for Spiritual Breakthrough" is a thought-provoking book on one of the least understood--but most powerful--disciplines of Christianity. Most believers know about fasting, but few of us really understand the wonderful benefits that come when we fast with purpose and direction. Written in Dr. Elmer Towns' dynamic; descriptive style, this book gives the "why" of fasting, rather than just the "how." Towns avoids a glut of techniques and schedules, and instead provides a probing look at Isaiah 58, often called the fasting passage. Learn how fasting can strengthen your faith and draw you closer to God, helping you to be a true overcomer in Christ.